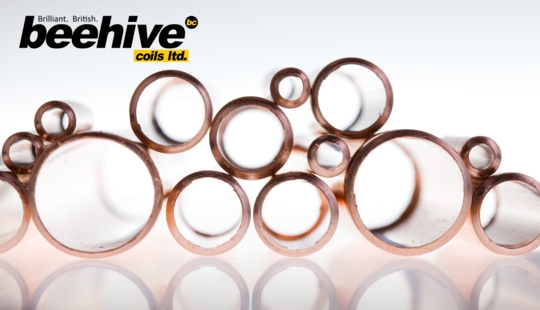 At Beehive, quality is one of the key aspects of our success and whilst other coil companies may look to offer lower specification copper tubing (which may have a shorter life in the field or give less performance than promised), Beehive strive to offer our customers the best product for the requirement to ensure they get both a product which performs as we say it will and also consistently beats lower specification coils in longevity tests. We have copper tubing available in diameters from 0.6 mm up to around 200 mm, all manufactured to EN12735-2, EN1057, EN12449 plus ASTM B68 and ASTM B&43 specifications. Our tube cleanliness and surface quality is to EN723 or ASTM B743-95-14 and JIS H 3300 on request with certification to EN10204/3.1B with full traceability through our production and source production facilities. We have several types of tubing available and are constantly working with our tube suppliers/manufacturers to develop improvements wherever possible as can be seen with the latest generation of enhanced inner profile tubing which gives a significant increase in performance with pressure ratings up to and including trans-critical CO2 selected in accordance with BS378 and IACS Req. 2011. Please click on the Tube Types link above to see what we can offer.